Previous articleHe is not Lungu. But what else does Hichilema offer Zambian voters? Just as you also bought the mine, it is your turn to sell it on. This mines issue is so complex, it needs sober heads and not airheads like Bowman Lusambo. The mines pay for the best lawyers, accountants and economists. This issue is bigger than the PF-UPND rivalry and it will be wise for Edgar to acknowledge expertise in UPND to help deal with this national issue. What is the asking price … please let us know. I don’t think HH is interested in such business like mines. He likes things like selling insurances or trading in stocks. Milupi got rich from ZCCM, let him buy Lumwana. Zambians need meaningful taxes from ‘its’ mines. You have already made enough. Bola panshi. Tricks won’t help. We wanna tax you appropriately. How much tumupele fye apa pene? @Chilankalipa … Yes, we are ready, willing and able. We need to look at the Sale & Purchase Contract too. This would really be a great move for the smart people of the Zambian Enterprise. I encourage Margaret to get the details of this potential sale so we can move in quickly with a transfer to ZCCM-IH account in readiness for a take over. Chilankalipa – Please ignore JUNIOR with them its just the same rhetoric and braggadocio he is a Sideshow Bob…good at mouthing about even asking what the asking price is as its Kapenta…you are an investment banker you should know the channels for requesting such info….these are the same Zambians who turn up at events and start waving their BMW car keys. @Mumba, Kikikiki don’t deal with @Chilankalipa, he is Jerabo. Ghost Dog – That’s BR Mumba JUNIOR for you willing and able educated fooool clowning about…how is your National Airline going then? The brainchild of the project is nursing a bruised arm after drink driving …convenient excuse to postpone the launch date..really laughable. 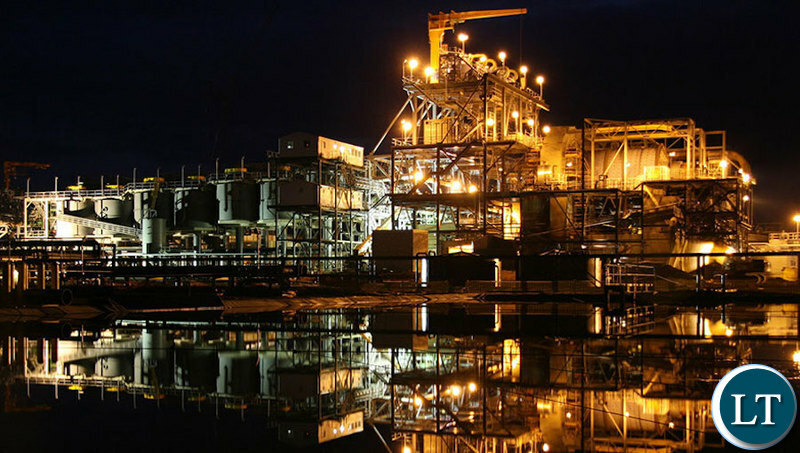 Barrick purchased lumwana mine for around $6 billion from First Quantum.With the current copper prices and mining regime in Zambia,it will sell for much less than that.Only the Chinese would be interested in investing in the mine. Barrick purchased Lumwana, and Jabal Sayid in Saudi Arabia, from Equinox Minerals…and not First Quantum! We need a new breed of young savvy Zambian leaders to tackle this issue…PF are completely out of their depth with managing the economy and Hakiande going by his pronouncements regarding this issue I see the mines continue to enjoy even more taxbreaks and subsidies at the expense of poor Zambians if he ever was in power. How many young savvy Zambian leaders have the capability to bring in huge investors.What do they have on their CVs to back their capabilities apart from being well known party cadres?What business successes over $100 million + in value can they show as evidence?…..Nothing. These are not issues you play with kid gloves.Otherwise we will end up like the DRC which is mineral resource rich but poor. @4 Jay Jay SPOT ON!! Your proposal applies to the entire spectrum of the economy and politics! We need a “revolutionary” change, new breed of leaders, otherwise we are stuck and the only changes we will be seeing is degeneration of our socio-economic and political indicators!! YES I agree. We need people like you and Spaka. Not hh because record is tainted. Government must not just be a spectator in the sale. The mining license must be withdrawn and ensure that these guys don’t sale the mine to themselves. The Chinese will be better option otherwise the MNC are very manipulative. You always look to the Chinks for everything including selling of strategic assets ..you forget that you owe them big time and the debt is mounting in the region of billions of dollars…all China has to do is sit back and watch you drown in your own greed and recklessness then come and grab everything when you fail to pay them. Let them hand over the mine back to Government. I think time ZCCM-IH increased its influence in the ownwership and running of mines.When Barrick are ready to sell LUmwana, the new owners must be equal partners/shareholders with ZCCM-IH as part of the deal to let go of the mine. No one would pay a mine in Zambia with your gov’t’s chipante chipante policies…only the Chinks have leverage over you to shut you up!! Is it Lumwana Copper Mine or Lumwana Gold Mine? What about our own jerabos, can’t they run the mines? Your govt is fooooolish led by a dull lazy man…they have put all their eggs in one basket..instead of investing Agriculture they are constructing expensive roads that last one rainy season and procuring VVIP jets. “Let them handover the mine to the government” says an ignorant person who has no idea how much these investors have put in and how many families are handsomely benefiting from these mines. Gold giant says that while it continues to engage with the Zambian government and community stakeholders about a mutually-beneficial way forward for its Lumwana copper mine, it would consider selling the operation given the “challenging conditions” it’s facing. Barrick said finding a win-win solution between the industry and government would increase investor confidence in Zambia and safeguard the long-term prospects of its mining sector. HH is incompetent and only serves his pay masters who are Anglo America. Sorry bwana, we know too much about you and the country cannot risk msking you watch over its resources. Kikiki!!! They are now trying to squeeze our bolls. Hahaha! Disaster! Zambia lacks leadership. I don’t even know what will happen after PF has finished destroying our country. HH and his life position in UPND is even worse than ECL. The man is intoxicated with power and just dreams of state house nothing else. He still believes that one day the court of law will declare him a president. The proposed tax is the best for Zambia but the mines are just taking advantage of confused politicians who are desperate for power. Unfortunately, it will take long for Zambia to have a political party with genuine intentions. UPND has no agenda for the people of Zambia but for HH only. How I wish General Godfrey Miyanda had popularity. Very good man. I can buy the mine! What is important is to give people their benefits rather than hiding in the name of merging while the mine has been sold.These investors shouldn’t bring issues in this country let them give what belongs to their employees and government will engage other investors just like Barrick came.Why should we be begging for them after all they’re leaving ditches in our country.